I have always loved this story about an adorable little teddybear that goes in search of his missing button when he gets locked in a department store overnight. 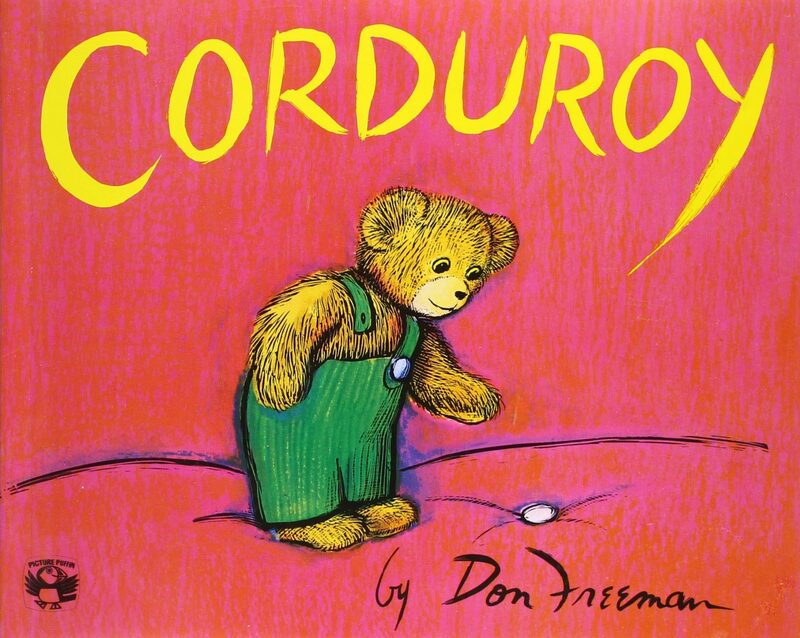 By the end of the story Corduroy learns that he doesn’t need a fancy new button to be desirable, but that without changing he is already perfect on the inside and out. This message is one not just for children but for parents as well. Encourage your little one to fall in love with reading by bringing stories to life! With a few crafting supplies and a little imagination you can bring Corduroy to life and help him find his missing button. This Build a Bear paper craft is a very easy and creative project to do. First, trace the bear stencil onto the bag with the bears head up towards the opening. Next, draw a face onto the bear attaching his googly eyes onto the bag. Then cutout Corduroy’s green overalls from the corduroy fabric (this can be drawn on or made from paper if no fabric is available). Lastly, put on only one of the teddy bear’s buttons. This is meant to be a creative project so there truly are no limits to how detailed this can go. When finished decorating, wad up some old newspaper and stuff the bear mostly full. After stuffing the bag, fold over the top edge of the paper bag and seal shut. I would advise using tape or glue as staples can be sharp. You can play a counting game and hide 5 buttons for your little one to find and bring to you. Each button they bring to you they count it out loud and before the game ends they must count out all buttons 1-5 learning what a grouping of 5 looks like. For older children more buttons can be added to count higher. This could also be a great introduction to addition and subtraction.